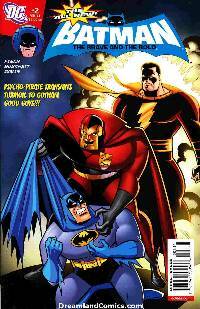 Written by SHOLLY FISCH Art and cover by RICK BURCHETT When the Psycho-Pirate hurls Gotham into an abyss of its darkest emotions, even Batman is trapped in deepest despair. Only Captain Marvel can help The Dark Knight save the city. But to do it, Captain Marvel will have to use his own greatest power - the power of hope!